China’s e-commerce giant Alibaba Group Holding Ltd. reported a 41% rise in quarterly revenue, the slowest growth since 2016, reflecting tightening purse strings as the world’s second-largest economy cools. Hangzhou-based Alibaba reported revenue for the quarter ended Dec. 31 of 117.3 billion ($17.1 billion), slightly lower than the 119.4 billion yuan average estimate of analysts in a Bloomberg survey. Net income, though, beat estimates, rising 33% to 30.96 billion yuan, Alibaba said. The company’s shares surged more than 4% Wednesday morning in New York. China’s tech sector faces growing headwinds amid slowing economic growth and trade tensions with the U.S. In November, Alibaba cut its full-year revenue forecast by 4% to 6%, citing growing doubts about the economy and slowing sales growth for smartphones and other consumer electronics. The last quarter of a year is often when Alibaba posts strong sales because of its “Single Day” online sales event in November. The shopping event is now the world’s largest, with transactions outstripping sales of U.S. Black Friday and Cyber Monday combined. 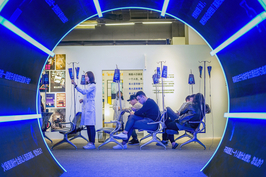 Alibaba booked 213.5 billion yuan in gross merchandise value during its 24-hour shopping festival on Nov. 11, 2018, a 27% increase from a year ago But it was the lowest year-on-year gain since the company created the celebration of consumerism in 2009. Alibaba said revenue from core commerce rose 40% year-on-year to 102.8 billion yuan in the December quarter. 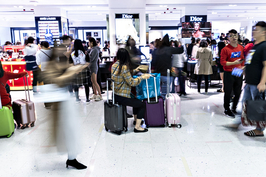 Annual active consumers on its China retail marketplaces reached 636 million, up 35 million from the end of September. 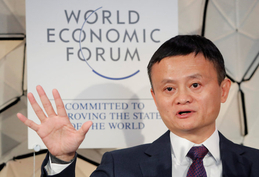 Alibaba had free cash flow of 51.3 billion by the end of December, the company said. 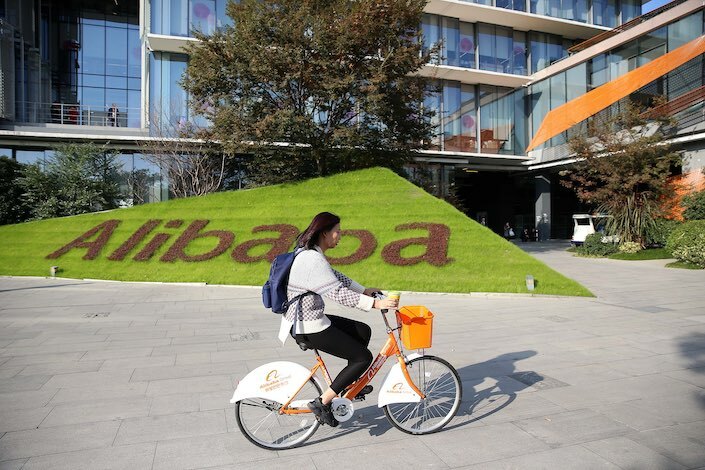 The increased profitability and free cash flow will support Alibaba to “continue to invest in other important strategic businesses and technology to support the growth of its ecosystem,” said Maggie Wu, chief financial officer of Alibaba Group. Alibaba has stepped up investment in cloud computing and artificial intelligence in recent years. In the December quarter, revenue from cloud computing rose 84% to 6.6 billion yuan. Revenue from digital media and entertainment increased 20% while sales from other innovation initiative rose 73%.